2. Why is it important to BE an omnichannel retailer? So, to attempt to answer point 1 (as there are MANY different definitions around)… In my view an omnichannel retailer is one which puts the customer in control of their own “customer journey”. They make themselves as accessible to their customers as they possibly can, and certainly in all the “places” where the customer might expect to find them. They ensure that no matter where a customer finds them, and choses to engage with them, and no matter how a customer choses to transact, nor indeed how a customer prefers to have their purchases fulfilled, they make it as smooth and seamless as possible. To bring this to life, think about your preferred retailers and the kind of experience you can enjoy with them… for instance, you might browse the range online, researching the attributes of a product you are keen to buy and checking out consumer reviews and prices. Then, you might pop into a store to validate the product is as you expect from what you read online. You may then go back online, reserving the product for collection in store at your convenience. That is just one example of an omnichannel experience – obviously there are so many different variables and options, but the crux is that the experience you have as a customer of the particular brand is consistent, cohesive and it didn’t matter what the “entry and exit” points were in a communication or transaction, your experience matched your expectations. So, ultimately to be an omnichannel retailer is to ensure a consistent brand experience at all points of interactions, irrespective of channel. Now, I guess that means that the answer to point 2 is already inferred… but I’ll spell it out – it is important to be an omnichannel retailer because that is what customers have come to expect. When I give a talk even to a room full of the smallest retailers I explain that in this day and age they have absolutely no excuse NOT to design their business around the basic premise of being omnichannel. Customers are demanding, they expect a lot, but if you can ensure that you are accessible to those customers in the ways they would ideally want, then you will be able to secure their loyalty. The bottom line is that when you offer a genuine omnichannel experience you offer your customer a convenient experience, tailored to their own unique needs and wants. That has considerable value to them. If you’re flexible, accessible, readily able to provide support and give them confidence that they are “in safe hands” then you’ll be the first port of call when they want something that they know you are likely to have. Suddenly cheap online competition can’t compete – you’ve won on service, and for many of us with hectic lives that has a higher value than you might appreciate! It is also important to recognise the true commercial value of being an omnichannel retailer – because it doesn’t come without some investment in things like ecommerce systems… however, over the years research has consistently shown that customers who have the opportunity to interact with a retailer through multiple channels (as opposed to just a single channel) are likely to spend 150% of what a single channel customer will spend. 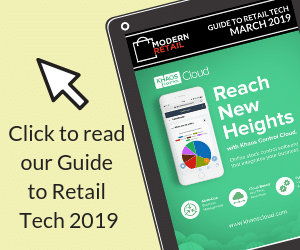 However, the title of this article was deciding which channels are right for your business, and at the end of the day it’s up to you to determine which are the most appropriate channels to offer your customer and start to think about what you need to do to be an omnichannel retailer. Defining your Omnichannel strategy: Be Where your Customers Are! This is challenging because many small retailers are desperate not to limit themselves and try to keep their view of the ideal customer far too wide. However, you need to start with a focused approach, and, as you grow you can perhaps afford to widen your reach. If you try to do too much at once you’re more likely to fail to get the results you want. So, let’s consider some answers to the questions above, to give you some ideas… but obviously it’s up you to dedicate some time to thinking this over for your business, your goals, your customer etc. Where do they search / research? For search, it’s probably Google in the UK, although you should not forget that Bing is also a popular choice for those using internet explorer… Think about google maps listings for any premises you have, google shopping for your ecommerce etc. For research, this can depend on your customer type and your product range – blogs, Facebook, Pinterest, twitter etc. are all potential places where people will see out comments about particular products. If you’re in travel, leisure or hospitality then an obvious place people would research would be TripAdvisor for instance. Online or offline? If online do they browse 3rd party sites like amazon, eBay, etsy etc. or do they go direct to a brand’s ecommerce site? If offline do they prefer high streets, shopping centres, retail parks or markets? There’s a lot to consider! This is all about their customer journey – where they shop might indicate JUST where they make their first point of contact, or it might be where they complete their transaction. How they shop includes considering things like how many times do they visit a store vs a website before they commit to a purchase, how they like to tailor their customer journey to meet their needs. It also includes what they expect regarding fulfilment – click and collect, home delivery, buy and take away there and then etc. This is about what engagement they expect from a retailer and what “platforms” they expect to be able to use – this can include standard / expected communications such as face-to-face in store, email, letter and phone. However it will also commonly include social media – Facebook, twitter, Instagram – so you need to be thinking about what matters to your customer. As you can see, if you tried to do everything and please everyone you’d create yourself a nightmare just trying to keep up with it all. Be specific and get the experience right, then you can consider widening your net! To sum up, there’s a lot of thinking that goes into deciding on the right channels for your business – as there should be, because investment in locations and ecommerce platforms can be considerable. Hopefully this feature has given you some food for thought, and, as ever, if you want more detailed support and advice I would suggest you take a look at my book – channel and location strategy is covered in chapter 6! Whatever you decide to do, I wish you every success!